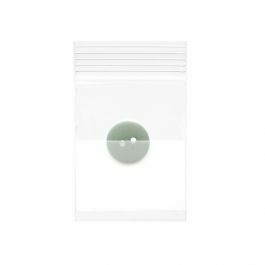 Your items are easy to track in these transparent poly zipper bags with a solid white block for labeling. Our 2WE33 bag measures 3" x 3" and is made of 2 mil low-density polyethylene for a sturdy, reclosable bag. When clarity is not as critical, this zipper bag is an excellent alternative. Package crafts, hardware, art supplies, and more. 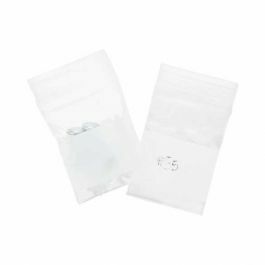 Our LDPE white block zip bags are an affordable choice for all-purpose packaging. The 2WE33 bag measures 3" x 3" and is ideal for packaging crafts, jewelry supplies, hardware, screws, nuts, bolts, and office supplies. This bag is reclosable and transparent, helpful for organizing items for retail, research, home, or office. Label items, dates, and materials. The solid white block space ensures your items are labeled in the same space for easy tracking. Bags come pre-opened for easy filling to save time during production. This bag is acid-free. Outer Dimensions: 3" x 3"